Europeana 1914-1918 aims to create a unique pan-European archive of personal stories from the First World War. 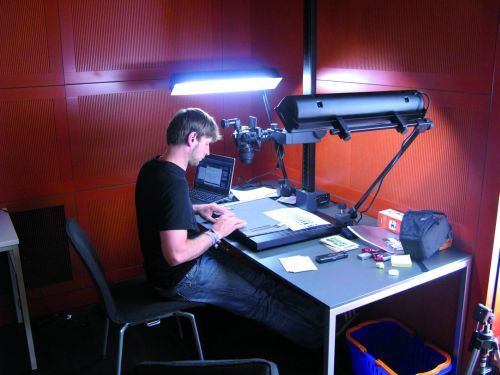 On 30th and 31st January 2014, two Collection Days take place at the Staatsbibliothek zu Berlin. Everyone with documents or objects from the First World War such as diaries, notebooks, letters, photographs, leaflets and posters is urged to come to a roadshow to share their story and have their documents digitised. Visitors will be welcomed by experts who will identify and photograph the objects, and collect the individual family stories relating to them. The documents will then be returned to contributors. Some items such as posters and postcards tell a collective story through their imagery, while others are more personal, but all provide direct testimony from the daily lives of soldiers and civilians. These family documents and stories provide different perspectives of the First World War and each is essential to creating this unique pan–European archive. They will sit with stories from countries across Europe to be shared online, accessed by others worldwide and saved for future generations. The Collection Days take place at 30/31 January 2014 between 10:00 a.m. and 06 p.m. at the Staatsbibliothek zu Berlin – Preußischer Kulturbesitz, Potsdamer Straße 33, Berlin. Please join us!